A collection of contemporary music for guitar scores. General Editor: Piero Bonaguri. Publisher: Ot Orpheus, Bologna Italy. 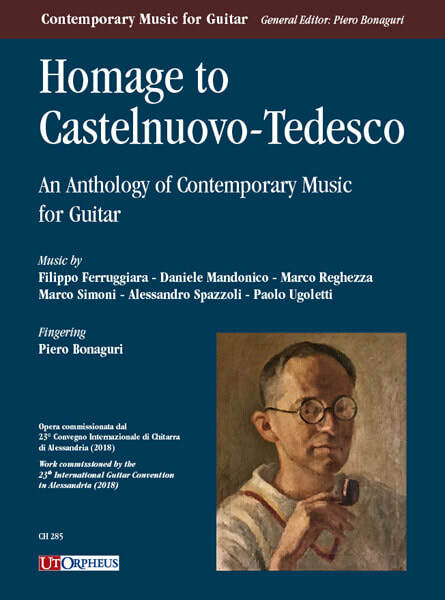 Among the pieces published there are "Homenaje a Rodrigo", "Preludios para Tarrega", "Corelliana", "Homage to Castelnuovo - Tedesco", "Homenaje a Segovia"
Ut Orpheus, based in Bologna, has celebrated the 25° anniversary in 2018.